Unip Berhad and its subsidiaries (“Unip”) has diversified and grown into a large establishment venturing into the manufacture of oral care products in the international arena. With a firm foundation of product knowledge and awareness of our clients’ demands, we have diversified in our range of products. After achieving a fully integrated in-house production operation in 1997, Unip has grown from strength to strength, serving our clients better, more efficiently and providing them with quality products. Acknowledging new global trends and adopting new innovations, we are able to compete effectively in terms of quality and pricing in the world market. Unip’s products are well received as evidenced by its clientele both local and international. 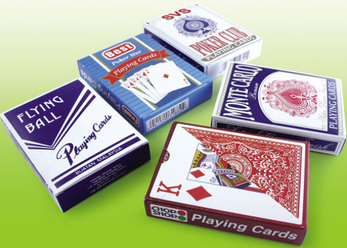 Currently, We are one of the leading Playing Poker cards manufacturer in Malaysia. Our factories and offices are located in Kawasan Perusahaan Cheras Jaya on approximately 169,000 sq. feet land. The administrative offices and factories are located in four plants, which are linked together to facilitate administrative control and communication among the subsidiary companies.